Having a waged a war with activist investor Nelson Peltz’s Trian Fund Management LP for two years, PepsiCo Inc (NYSE:PEP) appointed its long-time advisor William R Johnson as an independent director to its board on Friday, 16th January, 2015. Market sentiment hopes that it would augur ‘all’s well that ends well’ scenario wherein both parties would now bury the hatchet and adopt a supportive attitude towards each other. As a former chairman of Heinz, William Johnson is likely to prove to be a valuable asset for the company. Jim Cramer diagnosed the situation on CNBC under the ‘Mad Money’ banner and termed it as a smart move on part of PepsiCo Inc (NYSE:PEP). He described is killing two birds with one stone wherein on one hand it would cause Trian to back-track from its aggressive ways and on the other the cola giant could stand to benefit from Mr. Johnson’s vast experience. Cramer also went on to seek an opinion on Nelson Peltz, the activist investor, and he received the response that Peltz was both supportive and energetic and dealing with such people called for mutual respect. 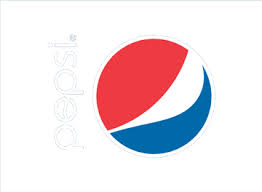 Under Nelson Peltz’s leadership, Trian Management has been campaigning for PepsiCo Inc (NYSE:PEP) to separate its beverage business from that of snacks and operate each of them as distinct entities. This demand has been repulsed by PepsiCo’s chairperson, Indra Nooyi, on grounds that the present set-up is the best as compared to various other alternatives which surfaced as a result of brainstorming. As an independent director, PepsiCo Inc (NYSE:PEP) hopes that Mr. Johnson would be unbiased in his decisions and help the company to overcome its problems on its path towards growth and prosperity.